Just a short break for meditation can restore your peace of mind and mental clarity. 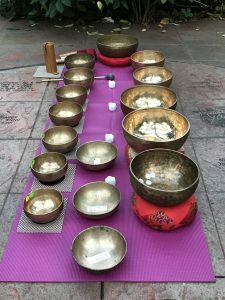 Join Deb any Wednesday for 20 minutes of relaxation with the singing bowls and return to your busy day refreshed and ready to begin again. Open meditation; no RSVP required.